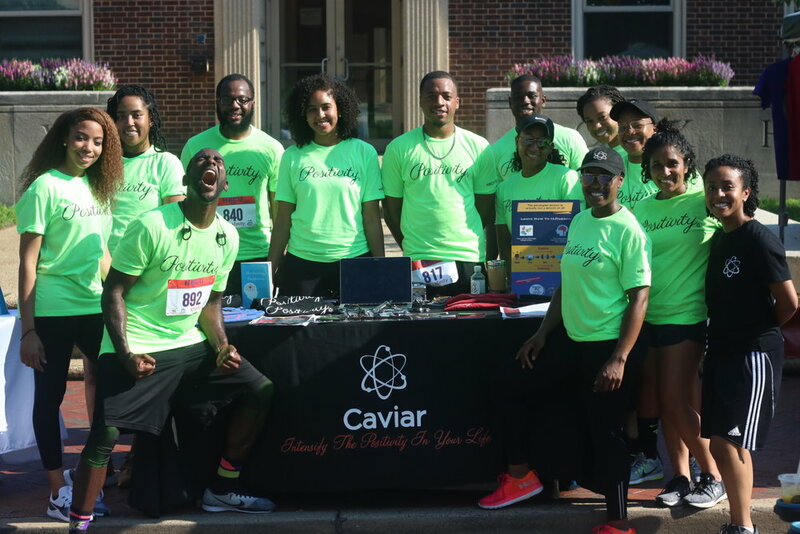 On Saturday, June 30th Positively Caviar participated in the 6th Annual HBCU 5K Run/2K Walk at Howard University. More than 12 volunteers joined The Positively Caviar Team to run with a purpose and engage with the community sharing information about the organization. The Washington, DC Metro HBCU Alumni Alliance, Inc.’s (DCHBCUAA) community hosts the HBCU Alumni Community Day Presented by XFINITY with a mission is to improve the health and well-being of our communities. Their overall efforts are aimed at reducing health disparities that are pervasive in predominantly African American communities. With an effort to addressing the social determinants of health, their program focuses on priority areas are Health & Wellness, Hunger Awareness, and Higher Education. By leveraging the full value of the Alumni Alliance, they educate the community, provide financial resources, offer volunteers, and work strategically with our community partners to make a measurable impact to address the following issues: health, hunger, and education. Running to help fight mental illness aligns with the core values of Positively Caviar. The organization will continue participating in the HBCU5K annually, on a much larger scale next year. New York, NY (October 10, 2017) – Positivity is more than just a noun, and fitness is more than just a trend… it’s a lifestyle. On September 23, 2017, Positively Caviar, Inc and Spiked Spin joined forces to execute a “Spin for Positivity” cycling event. Missions collided as both parties discussed the importance of generational health, maintaining mental resilience/physical strength, and the impact that positivity can have on your overall well-being. Founder of Spiked Spin, Briana Owens, created her platform by wanting to fill the void of diversity within the boutique fitness industry. By doing so she formed a space where men and women are able to cycle in an atmosphere that is non-judgmental, accepting, and encouraging of their individual journeys. Riders joined the session excited to ride for a cause with Positively Caviar and Spiked Spin not realizing the overall total body experience this session would have on their mental and physical health. By the end of the class, all riders were able to truly experience what it means to “Spin for Positivity.” Attendees enjoyed an hour-long turned up, energy filled spin class infused with some of the best hip-hop hits to-date followed by a brief mindfulness session that encouraged everyone to extend their experience further than the bike. Each Spiked Spin class is closed with reflection, love, affirmation, positivity, and community which aligns 100% with what is Positively Caviar. “It feels so good to witness the impact of positivity in the lives of others,” exclaimed Co-Founder, Chief Creative Marketing Officer, Nikki Abraham. 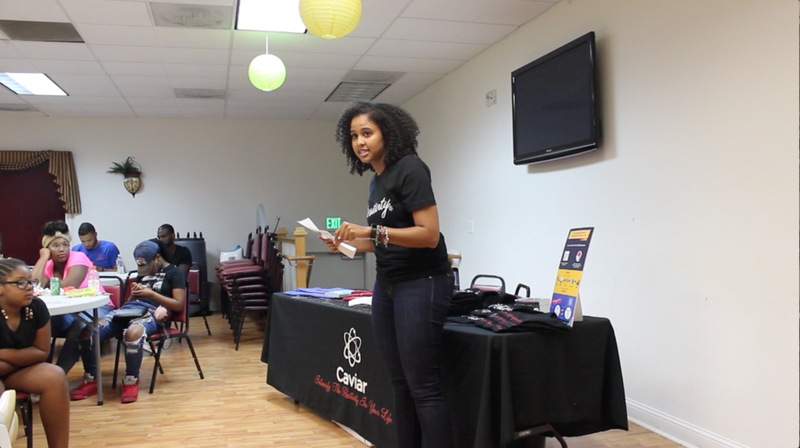 Positively Caviar concluded the event by reinforcing their mission of positivity with a brief interactive giveaway and huge thank you to the participants and instructor, Briana Owens. Please visit SpikedSpin.com to find out more about their platform and to sign up for a Spiked Spin session. 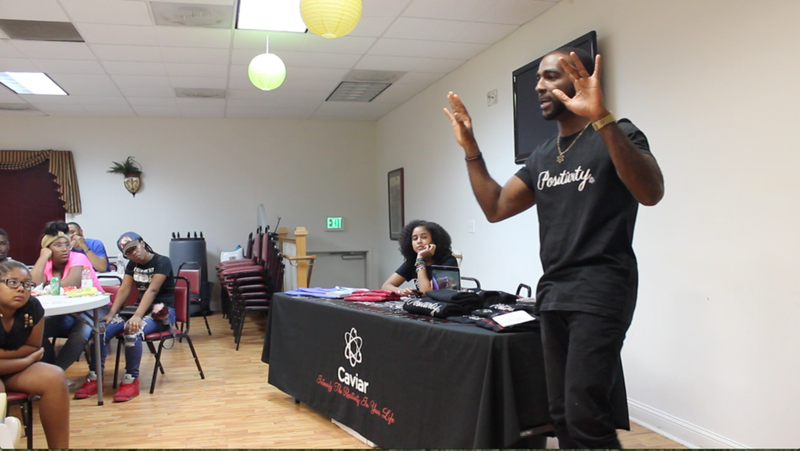 Also, visit Staybasedandpositive.com to find out more about Positively Caviar, Inc. and how you can support their mission of positivity.